COSTA RICA PINBALL MACHINE COLLECTION BY RICHARD BLANK A smart motivational technique used for CCC BPO agents is to compete on the machines in the game room. One way in which a telemarketer's confidence could be made stronger or broken down is through an arcade experience during their work day. Costa Ricans have courage and can back up their swagger on the phone after dominating the video games during their scheduled breaks. 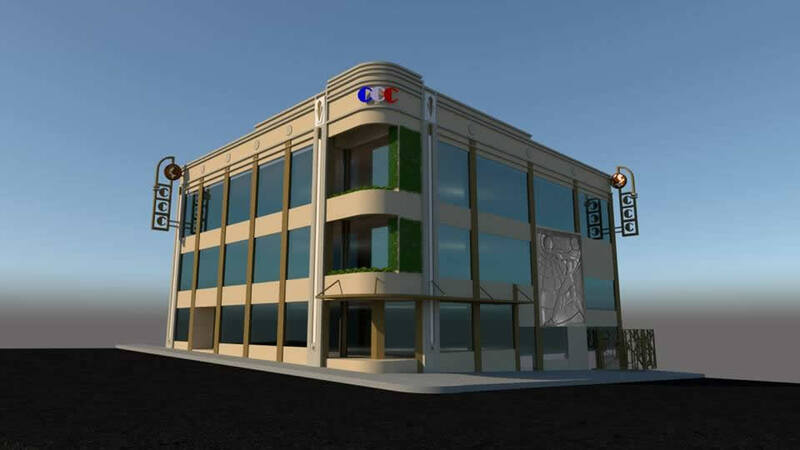 In the competitive offshore outsourcing call center arena, CCC has an advantage over the rest in Costa Rica by creating a strategic play environment. High end arcade video games will reinforce a call center agent's focus, mind set to win and motor skills while off of the phones during their free time. The most important virtue is to show a solid habit of good sportsmanship regardless of the outcome of the games in the arcade. More new friendships have blossomed in the game room at CCC call center Costa Rica. 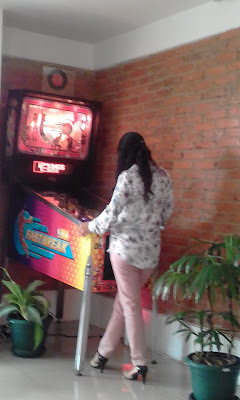 To date, Costa Rica's Call Center is the only BPO in Central America with a retro arcade game room, period. The average age of our Costa Rican call center agents correspond with the virtual gaming boom. Every CCC agent that grew up mastering Nintendo has amazing skills and a strategic thought process. 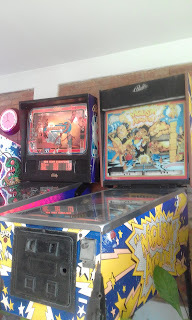 COSTA RICA HAS 2 PINBALL MACHINES AND A CENTIPEDE ARCADE GAME Back in the 1980s, anyone in Costa Rica who wanted to play the real video games was on a mission to find an arcade. Once you placed your 100 colones on the game marquee to hold your place, it didn't get any better when you had the chance to show your skills in front of dozen kids from San Jose. Each Tico was shooting for the high score on Asteroids or Pac Man and loved every minute of it. CCC wants to bring that excitement back into a call center environment and use it to grow past our 440 agent limit at our current location in Barrio Aranjuez. Today, CCC firmly stands behind having our call center employees experience the authentic arcade sounds, sights and real time retro competition. Our new video arcade room has given CCC another strong gust of wind in our sails. Costa Rica's Call Center will continue to reward our amazing staff by a pace of 1 new arcade machine per 44 new telemarketing agents hired and hitting their monthly quota. NBA Fastbreak is the latest release from WMS and the George Gomez design team. I love Gomez's previous games, Corvette and Johnny Mnemonic, and was eagerly awaiting his next game. I'm a trifle disappointed in NBA Fastbreak, but then again I like his former games more than the r.g.p consensus. It's still an outstanding game. It's "different" in several ways. The scoring is like the Real NBA, meaning that 300 points is a terrific score. The scoring is balanced, and completely linear. That in itself is a major difference. Gameplay can be very slow (stop-and-go) due to the top saucers. This turned me off at first but I've gotten used to it. Having 29 high scores (1 for each NBA team) is neat. NBA FB is probably a "novice" game, because the shots are all very easy, and it's a lot easier to do something that lets you enter your initials. It should still be fun for wizards, if you don't mind "working" at a game (meaning dealing with slow play and very few "pressure" shots). Extra Balls are easy; it's not difficult to go from 3 to 5 or 6 balls. The ideal environment for NBA FB is probably where I play it: a college bar that is filled with people at night to play with /against and to have as spectators. Also, having a lively environment substitutes for the frequent slow / "automatic" play. NBA FB is very well made in every respect (other than possibly the bumpers, but I have only 1 machine to base my opinions on that on). It's yet another reminder of how many light years WMS is ahead of Sega in sheer quality, from mechanics to rules to sound (not dots :). It deserves to be a big winner for them. The objective of NBA Fastbreak is to get to Trophy Multiball by completing the 6 Tasks, win a Ring, and score as many points as possible along the way. Then do it again. Left Saucer like the one on T2 and NF. Gives one of Bob's Crazy Stadium Goodies when lit. Gives Extra Ball when lit. For me this is the "hardest" shot in the game. Lane-Between-Center-Ramp-And-Right-Ramp where balls come out of the bumpers. Go up this lane to get a cool "electromechanical" sound, and hopefully get some bumpers. Inlanes light the opposing In The Paint shot, most of the time. Inbounds Pass targets two standups below the Right Lane entrance (a la Johnny) that, when both hit, light Inbounds Pass at the Left Outlane. This works regardless of mode except that I think in multiballs if you light this, then use it (I hate using up ballsavers in MB), you can't light it again until you're back to one ball. Inbounds Pass returns the ball from the plunger. If you lose the ball and the inbounds pass is lit, you will lose it at the next ball. Million Dollar Shot on ball 3 or after final extra ball, the right outlane is lit for this. If you drain down the right, another ball launches and you have ~10 seconds to hit the basket from the center ramp. Note: there is no compensation if hit the ramp, but miss the basket. If you make the shot, you win a million dollars and your game continues. If you don't make it, you're obviously not even good enough to be a ball-boy, so your game ends. If MDS is lit and you awarded an extra ball, then it will go off and relight at the next ball. 3-P-T three standups in a lovely shade of purple. When all are hit, 3-point basket is lit at Left and Center Ramps. You will never aim for these. Basket a hoop that is fed by the Center Ramp (always), the Top Saucers (always), and the Left Ramp (sometimes). Most of your points come from hitting the Basket. Sometimes the shots that are supposed to feed the Basket miss; there is compensation for this, see below. After a Basket, the ball heads for the bumper area, where hopefully it will hit some of them before dribbling out to the flippers. There's a magnet below the Basket that can hold the ball. If the Basket is not lit for anything else, it's lit for a Free Throw and 1 point. 10 Free Throws light an Extra Ball (see below). Settings are vary and each machine is different. For my machine, it is after 3rd or 5th three throw. You can only use this method once (1) per game. Our entire staff has concluded that an immediate visual stimulation combined with a conditioned manual stimulation in gaming added a very special ingredient to our nuance at CCC. To date, Costa Rica's Call Center is the only BPO in Central America with a retro arcade game room, period. Combining a bilingual telemarketer's gaming experience to help motivate, focus and relax the work place mind set is priceless and makes perfect sense for any outsourcing company. This is a row of three standup targets (think about Cousin It / Superdog and you get the idea.) Hitting one of them when lit scores 10M. Assist Another saucer, at the upper left, just in front of the goal. When the ball falls into the Assist saucer your goal gets lit (or nothing changes if its already lit) and you can shoot the ball straight in by punching a flipper. Pretty great. Star Rollovers There are four rollovers (yes rollovers!) leading towards the goal. Light a rollover by rolling over it. Light all four and goal is lit. GOAL! First off, this game has a real plunger. You remember...you pull it back and it springs the ball out? The skill shot is like one of those loops on roller coasters. You shoot the ball up the loop, and it falls into one of three dividers which each have a light. When you start they are all flashing. Falling in one of the flashing ones the first time scores 5M. Then only two are flashing. Hitting another flashing one scores 10M. When you hit the last flashing one you spot a city for 30M! Rules GOALS For some reason, hitting goals is the funnest thing in the world. You start each ball with the goal lit (at least you do on the machine I play.) Shooting a goal scores 10M, adds 5M to fun with bonus and starts an "Ultra" round. There's some great sounds here. When the goalie blocks a kick you get "What a great save!!!" The voice reminds me a lot of the voice in Banzai Run. You relight the goal by lighting four stars on the playfield. There are two ways to light a star: A) Hitting the dog target in front of the pop bumpers (called the "Header" target) lights an unlit star B) By rolling over them! Yes, first the return of Magna-Save, now the return of rollovers! What a great game. After each goal, you are awarded an "Ultra" mode. There are four Ultra modes (explained below) and each one lasts for the length of your ball or until you score 30M on the mode, at which time you are given a 10M bonus and the mode ends. The modes you currently have lit are indicated by four lightning bolt-shaped lights on the right side of the playfield. These modes do not add to your score during the normal game, they are only used for fun with bonus. Utlra Ramps - About what it says. Shoot ramps for 5M per ramp. Utlra Spinner - Ditto, to the tune of 1M a spin. Ultra Jets - This is a pop bumper bonus. Pop bumpers are upped to 2M a pop. Utlra Goalie - Nail the goalie! One of two Hit the Goalie modes, these are completely hilarious. Hitting the goalie scores 5Ma shot. TV AWARDS Shooting four goals lights the TV award. Hitting the TV Award scoop awards it. Currently there are four TV Awards. A TV Award is a timed mode (these were 20 or 25 seconds) for bonus scoring. Simply starting any TV Award is worth a cool 25M. They are awarded in order as opposed to randomly. Big Goal Round - Shoot three goals within the time limit for 15M, 15M and 30M. Extra Ball Round - Extra Ball lit for 20 seconds. If you hit the extra ball, then the Striker scoop is worth 50M for the rest of the time limit. Hit The Goalie! - Same as above except timed. Hitting the goalie is worth 10M, shooting the goal raises the goalie value by 10M. Still totally great. Where's Striker - Shoot any of the dog targets to try and find Striker. First hit scores low points, second scores medium points, third finds Striker and scores big points. I still haven't gotten this yet so I can't be more specific. STRIKER AWARDS Hitting a Striker dog target scores 1M and adds a letter to the words "STRIKER." Spelling the word Striker awards 10M and lights the Striker scoop. It is also lit at the start of the game. The first Striker award may be collected from the goal if the goal is not lit. Shooting the Striker scoop gives out a random award. The ones I've seen are set forth below. Extra Ball - Guess. 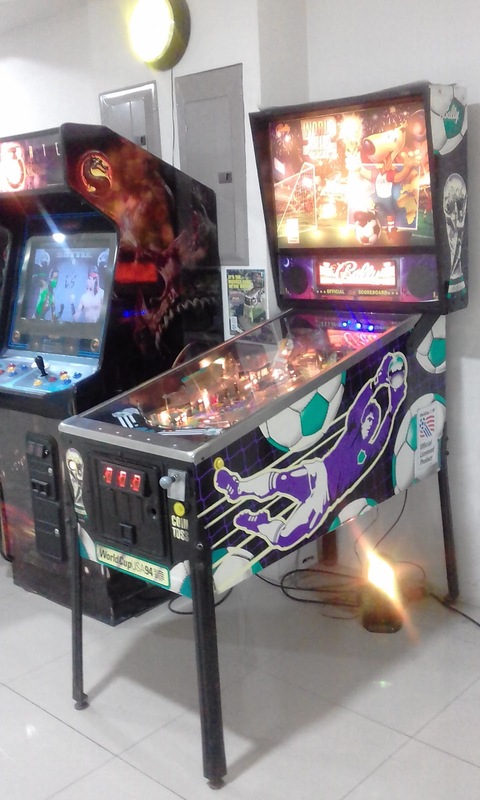 Multiball - Starts multiball at rank 15 (see below.) 20 million - Another toughie. Super Free Kick - Makes the free kick target worth 10M + 5M per consecutive hit for a certain amount of time. Penalty Kick - Gives you a shot at the goal with the goalie not moving and leaning out of the way. hit the goal for 30M. Three Cities - Gives you your next three cities (see below.) Unlimited Kickback - Kickback lit for the rest of the ball! Three Goals - Adds three goals to your total, complete with three Ultra rounds too. MULTIBALL OK, there are four spots with flashing arrows labeled "BUILD" in front of them - left spiral, left ramp, right ramp and Striker scoop. There is also a big soccer ball painted on the playfield with the words Strength, Stamina, Skill, Speed and Spirit on it. Shooting a build shot lights one of the words on the ball on the playfield. When you light all five, lock and multiball are lit. Shoot a ramp to lock the ball, shoot the Final Draw scoop to start multiball. Now when you start multiball you are given a team to play, based on your rank. Your rank is determined as follows - Every two shots to a lit goal advances you 1 rank, and if you lock a ball before starting multiball you advance 4 ranks (since multiball is lit as soon as lock is lit.) You beat a team by shooting the goal (this is your jackpot,) and then get to play the next team by shooting a ramp (relighting jackpot.) There are fifteen teams, with the following ranks and jackpot values: #15 USA 20M #14 Russia 20M #13 South Korea 25M #12 Saudi Arabia 30M #11 Morocco 35M #10 Austria 40M #9 Canada 45M #8 Holland 50M #7 Italy 55M #6 Great Britain 60M #5 Sweden 65M #4 Spain 70M #3 Australia 75M #2 France 100M #1 Germany 250M If you drain before hitting a jackpot, shooting a ramp or the Final Draw scoop will restart multiball where you left off. If you start Multiball again, you are advanced two ranks. For your match against #1 ranked Germany, the Special is lit on the right outlane, the jackpot is worth 250M and after you hit it, the ramps and goal are lit as Victory Laps worth 50M a piece! After five laps, the Victory Laps switch off between left ramp and goal. 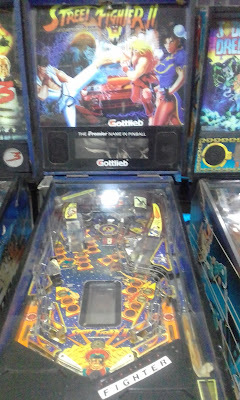 One more thing, the Assist saucer works during multiball, but best of all, its programmed not to miss. CITIES There are eight cities on the World cup tour - Chicago, Dallas, Boston, New York / New Jersey, Orlando, Washington DC, San Francisco, Detroit and LA. There are three different ways to collect cities. Left Spiral - Shooting both ramps or lighting both rollovers lights the left spiral with a yellow arrow labeled "TRAVEL." Shooting the spiral at this time awards your next city. Actually, scoring the spiral doesn't award the city, setting off the spinner does. And you CAN score it backwards! I have had two cities lit, shot the spinner for the first one, and when the ball didn't make it all the way up it fell back down and lit the second one! Striker Award - There is a Striker award which gives you your next three cities. Skill Shot - Hitting all three flashing lights awards your next city. Chicago, Dallas and Boston are worth 10M. New york, Orlando and Washington are worth 15M. San Francisco, Detroit and LA are worth 20M. Travelling to any city also lights the Tackle target, worth 10M when hit. Several cities have modes associated with them, as outlined below. Boston - Boston Tea Party Mode - A hurry up. Starts at 40M and counts down to 10M. Shoot spinner to collect. Washington D.C. - Extra Ball - Lights Extra Ball L.A. - World Cup Final - After traveling to L.A., shoot the Final Draw hole to start the Final Match against Germany! This is really great. 5 ball timed multiball against Germany for 45 seconds. You plunge the balls yourself (manual plunger remember) and goals are worth 75M. Every once in a while Germany will score a goal. If you end the 45 seconds with more goals than Germany you get a bonus of 500M!!!! Yowza! If you end in a tie, overtime is started and the first team to score a goal wins. BUY-IN You can buy an extra ball for 1 credit up to three times. When you buy in, all four ultra modes begin lit! There are separate high score tables for x number of buy-ins, but I haven't sorted them out yet. Hell, I haven't even sorted out the ones for ST:TNG yet. BONUS Bonus is awarded as outlined below 5M per goal Ultra Modes are scored however you did. 5M per city. One way in which a telemarketer's confidence could be made stronger or broken down is through an arcade experience during their work day. Costa Ricans have courage and can back up their swagger on the phone after dominating the video games during their scheduled breaks. In the competitive offshore outsourcing call center arena, CCC has an advantage over the rest in Costa Rica by creating a strategic play environment. This is a glossary of the shots that will be referred to during the discussion of the game. In SFII, most shots correspond to one or two of the opponents that you must defeat through the course of the game. There are only 8 shots for 12 opponents, as the lower right sink hole and the spiral each have two opponents, and the left and right ramps can be raised and lowered, with one opponent for each ramp position. - Lower Left sink hole. This is the opponent E.Honda. When the opponent is not lit, this hole spots a letter in TORPEDO. Completing TORPEDO starts TORPEDO Multiball. - Lower Right sink hole. This hole has two opponents: M. Bison and Balrog. When neither of the opponents are lit, then the hole spots 1 letter in TORPEDO until the first TORPEDO multiball is achieved, and scores 1M + 1M to ? ?, and resets on each ball. - Left lane, just past top flipper: This hole is the opponent Blanka. When the opponent is not lit, it advances the Car Crunch value. On our machine you need 3 hits to get the Car Crunch, but this is probably either a self-adjusting value or operator settable. - Left ramp. This is the opponent Zangief. The left ramp can be raised, in which case refer to the "left underpass" described below. When the opponent is not lit, and the ramp is in the lowered position, this shot scores 3M. Any ball shot up this ramp is kicked out of the E.Honda hole. You can also get Zangief by shooting Sagat just as multiball ends if Zangief is lit (bug or feature?). Shooting an unlit Zangief raises the ramp for a shot at an unlit Sagat. - Left underpass: This is the opponent Sagat. This shot is only active when the left ramp is in the raised position. When the opponent is not lit, this shot is worth 4M, and kicks 1 barrel. Kick 4 barrels to start Multiball. Any ball shot through this underpass is kicked out of the E.Honda hole. - Left sinkhole, just to right of left ramp. This is the opponent Dhalsim. When the opponent is not lit, then this shot scores the flame, which is 2M. Any ball shot into this sinkhole is kicked out of the E.Honda hole. - Vertical loopback, just to right of pop bumper. This is the opponent Guile, one of the toughest shots in the game because it has a very small sweet spot. This shot loops the ball up vertically onto a habitrail which drops the ball into the right inlane. When this opponent is not lit, it spots a letter in GUILE. Spelling GUILE the first time gives and extra ball (or 50M if extra-balls are disabled), and scores 50M for each completion of the GUILE. Although the shot is obviously made for the left flipper, it is possible to hit this shot backhanded from the right flipper. I have done the backhand several times while the ball was heading towards the right flipper from the left side of the playfield, but only once when the ball was at rest on the right flipper. - Spiral in upper right corner: This shot has 2 opponents: Ken and Ryu. It is designed to be hit from the upper left flipper only, although a ball from the right flipper which hits a post just above E.Honda may ricochet into the spiral. I've done this a few times, but never intentionally. Although both opponents light up together, each shot when it is lit scores only one of the two opponents. When not lit, this scores 1M+1M per loop. A good shot might give you 3 or 4 loops, but usually you'll only get 1 or 2 loops. The value continues to increase across balls. Any ball shot in the spiral is kicked out of the M.Bison hole. - Right ramp: This shot is the opponent Chun Li. Like the left ramp, this shot is only active when the ramp is in the lower position. A shot up this ramp sends the ball to a raised playfield, which has a single flipper that is rotating at constant speed (you have no control of this flipper). If the flipper does not hit the ball, then your ball goes straight to a habitrail on the left, which drops the ball into the left inlane, and you score either Chun Li when it is lit, or 5M+5M to 25M if not lit, which resets on each ball. Note that after you get an unlit Chun-li, you have one shot from the left flipper to get the next ramp. If you hit any other switch, the ramp raises, and gives you a shot at an unlit Vega. If the rotating flipper does hit the ball, then it either sends it back down the ramp, or onto the right habitrail, which drops the ball into the right inlane. In this case, no points, touch bananas, zilch, and the machine laughs at you! Hidden discovery: you can also get Chun Li by shooting Vega just as Multiball ends when Chun Li is lit (bug or feature?). - Right underpass: This is the opponent Vega. This shot is only active when the right ramp is raised. When the opponent is not lit, this shot scores a random award. Some of the possibilities include points (5-25M), light extra ball, start regular multiball, and spot letters in 1 to all letters in GUILE, TORPEDO, or FIGHTER. There may be other awards too. If you hit the unlit Vega when the DOUBLE light is on, then it gives you TWO separate random awards. This shot sends the ball to an eject hole which feeds the top pop bumper. During normal play, the ramp can be raised for a random unlit vega award in two ways: 1) Hit an unlit Chun-Li, or 2) have the ball land into the Vega eject hold by going through the green targets (usually a lucky bounce off the Jet Bumpers). If the right ramp is stuck in the up position, then the right underpass will give you credit for Chun-Li when lit, otherwise it will give you a random award every time. The remaining shots do not have any opponents associated with them. - Skill Shot, step 1, the timed plunger shot: The dot matrix display, accompanied by Chun Li's voice, says "Ready, Set, Shoot". After it says shoot, you let go of the plunger, which sends the ball up a habitrail. At the end of the rails is a sensor, which sets your starting bracelet value. After you hit the sensor, the ball dribbles down into the Blanka eject hole, and the display goes into a shoot the bullseye animation, and tells you if you were early or late for a bullseye. If you timed the shot just right, you get the bullseye, and you set the initial bracelet to 20M. If you are off, the initial value is 5M, 10M, or 15M, depending on how close you are. To score any skill shot points, you must get the skill shot step 2. If Blanka is lit, then you also defeat Blanka [but if it is not lit, do you advance the car crush count?] - Skill Shot, step 2, hitting the Bracelet. The bracelet is a target just above the entrance of Ken&Ryu. It is a plastic target with a metal pin in the center. To get the skill shot points, you must hit this target from the upper left flipper as the ball is fed out of Blanka. If you hit the center of the target, which is detected by hitting the you get double the points. If you miss the target, then the bracelet becomes a "Hurry Up" target, counting down from the original value to 0. - Extra Ball (EB) target: this target is near the back center of the playfield. The EB target is the white one, which is between two red targets. Hitting this target while the purple light is flashing awards an extra ball. There are various ways to light this target, but the target only stays lit for about 10-15 seconds. Note that you must hit the white center target, and not the side red targets to get the EB. Also, there is no grace period on hitting the target after the light stops flashing. The target is pretty much worthless if hit when not lit. - Green Targets: In back of the EB target, there is a single pop bumper, and three plastic targets, which are called the "Green Targets" because of the green lights in front of them on the playfield. By hitting all three targets a certain number of times, you light the EB target for 10-15 seconds. It is not clear how often you have to complete the 3 hits, or whether they must be hit in waves, but it seems like 2 or 3 times, and could very well be self-adjustable or operator settable. You can light the EB many times in a game in this way. - Fighter Targets: These are two targets just to the left of the right ramp, facing sideways. Every time you complete both targets, you spot a letter in FIGHTER, which is shown by red LED's to the left of the plunger. Spelling FIGHTER lights special, which is flipper selectable among the inlanes and outlanes. Other things to know about the playfield: - Slingshots: SFII has the traditional slingshots above the lower flippers. They don't score anything significant (except for affecting the last 2 digits of the score), except during TORPEDO Multiball when they are worth 3M a pop (along with everything else!) - Double Light: Every shot has a red 'double' light on it, which is normally not lit, but does light up on various occasions: - unlit opponent: Whenever 'double' is lit for an unlit-opponent, you score double the value of that shot. For example, E.Honda spots 2 letters in TORPEDO instead of 1, Guile spots 2 letters in GUILE, Sagat kicks 2 barrels, Zangief scores 6M (although the display still only shows 3M), Vega gives you 2 random awards. Every time you hit the slingshot or pop bumper, which unlit opponent has the 'double' lit changes. You start the game with only one unlit opponent having 'double' lit, but at some point in the game I did end up with 2 at a time; I'm not sure how I got that second one. - double round: During the double round, the 'double' light for each shot that must be completed to double your score is lit. As you hit them, the light goes out, so that when you hit the last one that is lit, you double your score (if time didn't run out first!) - Inlanes & Outlanes: there are no significant value to the inlanes and outlanes in SFII, except after completing FIGHTER, in which one of the lanes is lit for SPECIAL. You can use the flipper to alternate which of the four lanes is lit. - Second Chance: if you drain within the first 10 or so seconds of play and before you defeat any opponent, the game gives you the ball back, and says "Shoot Again" as though you had an extra ball. You do not get to do the skill shot again, but the bracelet does remain lit and counting down from your previous skill shot (at most 10 seconds earlier!). GAME PLAY ========= The object of the game is to defeat each of the 12 opponents. You defeat an opponent by making the appropriate shot when the white light with the opponent's name is on. In normal settings before the first Champion Challenge, there are always 3 opponents lit at a time, starting with E.Honda, M.Bison, and Sagat. Every time you defeat an opponent, you get a choice of prizes, which is selectable by the flippers. 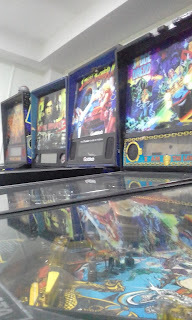 The choices are the following: opponent defeated left flipper selects right flipper selects 1st 5M Car Crunch 2nd 5M Multiball 3rd 5M Roaming Ninjas 4th 10M Multiball 5th Hurry Up EB/10M Count Up 6th Add 3 to TORPEDO Multiball 7th 10M 1-2 Punch 8th Add 2 to GUILE Multiball 9th 10M Double Score round 10th Complete FIGHTER Multiball 11th no prize; display message only 12th CHAMPION CHALLENGE The points are obvious, but for the big prize money always select the choice that is not points, and when available, always select Multiball. If you don't select any within 5 seconds, the game picks one for you, which is always the left flipper choice. Each of the above choices are described in detail below. CAR CRUNCH: The car crunch is a mini-playfield under the main playfield, which has a single full-sized flipper, a ball, and a car which crunches up as you hit it. The object of the car crunch is to completely crunch up the car by hitting it multiple times, before running out of time. It takes anywhere from 2 to 5 hits to crunch the car, depending on how strong you hit the car. The amount of time you have depends on which round of the car crunch you are on. I'm not sure exactly, but you get about 1M per car hit. If you succeed in crunching the car, a white light in the mini-playfield which says "winner" lights up, and you also get the Car Crunch bonus. The bonus for the first round is 5M (3M on tournament settings), and you have about 8 seconds, which is about 3 times longer than you need. The bonus on the second round is 10M, and you have about 5-6 seconds. The bonus on the third and subsequent rounds is 30M, and you only have about 2-3 seconds. Note that you only advance to the next bonus level when you successfully complete the car crunch. In addition to obtaining the car crunch as an award for defeating the first opponent, it can also be obtained by making several shots to the unlit Blanka. ROAMING NINJAS: During the roaming ninjas round, the 8 shots (with ramps in raised position) are randomly lit, 2 shots at a time (one on the left half of the playfield, and the other on the right half), for 5 seconds each pair. During this round, aim for any lit shots. The first lit shot scores 5M, the second scores 20M, the third 50M, and the fourth 100M. Sorry, even if you are fast, there is no fifth shot. When you get a lit shot, that shot still stays lit for the remainder of its 5 seconds, so it is possible to get the same shot twice (which I've often done with E.Honda and M.Bison, where you can send a kicked out ball right back into the hole.) HURRY UP EB: The first time through (i.e. before getting the Champion Challenge once), the extra ball target lights up for about 10-15 seconds. The second time through (i.e. after a Champion Challenge) or if extra balls are disabled, your choice is 10M, not the Hurry Up EB. COUNT-UP: In this round, the lower right hole (M.Bison) lights up, with the inverse of a "Hurry-Up" feature. The value of the hole starts at 3M and increases by 100K up to 10M, pauses, then increments quickly by 1M to 48M. No grace period; if you miss the highest value by a millisecond you get nothing. 1-2 PUNCH: For the 1-2 punch you must complete Blanka then Ken&Ryu in that order, within about 20 seconds. The first time you get the 1-2 punch, you get an Extra Ball for completing the two shots. On subsequent times, or if the EB is disabled, then you get 25M for Blanka, then 50M for Ken&Ryu. [or is it 10M for Blanka and 25M for Ken&Ryu??] DOUBLE SCORE: In this round, you must hit the four lit shots within 20 seconds to double your score. The 1st, 2nd, and 3rd shots score 5M, 10M, and 15M respectively. The 4th shot doubles your score. This is not easy to do, because the machine picks the hardest shots to hit: among the four shots, you usually have to hit Guile, Ken&Ryu, or both. MULTIBALL ========= The regular multiball is a progressive jackpot multiball, where each jackpot you score increases the value of the next jackpot. For every second opponent you defeat (excluding the 12th opponent) one of your choices is to start multiball (which is usually the recommended choice!). You can also get multiball by kicking all barrels via an unlit Sagat or as a random award via unlit Vega. During multiball, you want to shoot a flashing opponent to score a jackpot. There are 8 possible jackpots, one for each shot (the ramps are always in the raised position during multiball, so you always shoot the underpass). Two jackpot shots are flashing at a time. When you hit a jackpot, that shot stays lit (but not flashing) and another one lights up, so that you always have two shots to shoot for, except for when you only have the last jackpot left. The jackpot values are worth 5M, 10M, 15M, 20M, 25M, 30M, and 35M for the first seven jackpots respectively. The eighth jackpot (or Super Jackpot) is worth 300M. In normal settings, once you get the super jackpot during multiball, you can keep shooting it for 300M a pop, until you lose that Multiball. In hard (tournament??) settings, after you hit the super jackpot once, you must restart with the first 5M jackpot. 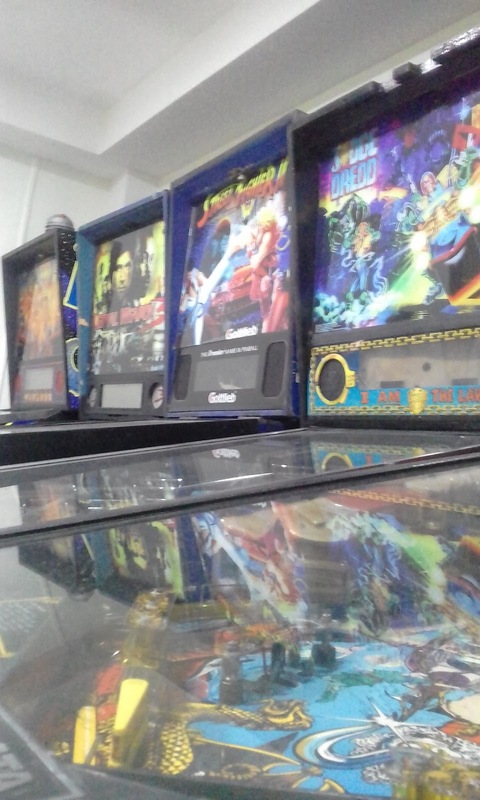 You do not have to get all jackpots in the same multiball, as the jackpots already obtained and the jackpot value are carried from multiball to multiball. The jackpot shots always light up in the same order, starting with E.Honda and M.Bison/Balrog. The next one is Sagat if you hit E.Honda first, or Vega if you hit M.Bison/Balrog first. The fourth is Sagat or Vega, whichever wasn't lit third. The next four are always, in order, Dhalsim, Blanka, Guile, and Ken&Ryu. STRATEGY: Since the 8th jackpot is worth the most, and it is the only one that you hit more than once, it is wise to stay away from shooting an easy jackpot (e.g. Vega, Sagat, or Dhalsim) and concentrate on always going for the more difficult shots (e.g. Blanka, Guile, and Ken&Ryu). If the shot you have remaining for the super jackpot is something like Sagat, then you can reshoot that target numerous times for 300M a shot. Whereas if you have Guile or Ken&Ryu, it may be difficult to get more than one super jackpot. If you start a multiball when the Blanka jackpot is lit, you will get that jackpot automatically, as the plunger shot deposits the ball into the Blanka eject hole. Once you've gotten the super jackpot, and that multiball ends, the next multiball starts from the beginning again, as though it was your first multiball. TORPEDO MULTIBALL ================= The torpedo multiball is a 3-ball Frenzy Multiball, where every switch is worth 3M. You get the TORPEDO Multiball by completing the word TORPEDO. One letter is spotted in TORPEDO each time you hit E.Honda when not lit or M.Bison when not lit and before the first TORPEDO Multiball; two letters if the 'double' light is on when you hit E.Honda or M.Bison, or 3 letters if you select "add 3 to TORPEDO" after defeating the 6th opponent. When there is only one letter remaining in TORPEDO to start the Multiball, the E.Honda hole will be flashing, and the M.Bison hole also if it is the first TORPEDO multiball. If you get this, you get the TORPEDO multiball. You can also get TORPEDO multiball by hitting E.Honda or M.Bison when the "double" light is on and only 2 letters remaining, or by adding 3 letters after defeating the 6th opponent. An average TORPEDO multiball should score you 100M. With a good multiball, you can really rack up multi-millions of points. The TORPEDO multiball score is the only End-of-ball bonus in the game. So once you get this, DON'T TILT! STRATEGY: One strategy that I have found works quite well is to pick two shots, one on the right and one on the left, and just keep hitting those same shots repeatedly. I usually aim for Sagat and Vega. The Sagat shot is a fairly easy shot which takes a ball off the playfield for a few seconds so that you only have to deal with one or two balls at a time, and it passes by 3 switches for 9M a shot (as opposed to E.Honda or Dhalsim, which only register 1 or 2 switches per hit). The Vega shot feeds the top pop bumper, which in cooperation with the green targets, will often give you at least five target hits (i.e. 15M) per shot. You also might light extra ball by continuously shooting it there. CHAMPION CHALLENGE ================== Street Fighter II is a goal-oriented pin, and the goal is to become the new master. You do that by first defeating all 12 opponents, which puts you into the champion challenge, then defeating all 12 opponents a second time on the same ball. If you successfully complete the challenge, you get 500M, Special, and you become the new MASTER (the machine asks you to enter your initials). During the Champion Challenge, all 8 shots are lit simultaneously. As you defeat an opponent, that light goes out. Shooting the lower right hole once defeats both M.Bison and Balrog; shooting the spiral once defeats both Ken and Ryu. Shooting Zangdief raises the ramp and exposes Sagat. Shooting Chun-Li raises the ramp and exposes Vega. Therefore to defeat 12 opponents, you need 10 shots. Once you complete the Champion Challenge, you start over having to defeat opponent 1, and you get the choices for each opponent defeated. The second time around, though, only two opponents are lit at a time, and not three as the first time around. I haven't gotten to a 2nd Champion Challenge, so I don't know if the third time around you only have one opponent lit at a time. If you lose the ball during Champion Challenge, then you lose out on that 500M, and you must start all over on the next ball. REPLAYS AND HIGH SCORES ======================= REPLAY SCORE: As with all modern machines, the replay score is self-adjusting. The following algorithm seems to be used in SFII (these are the default settings on our machine, I presume some of the parameters are operator adjustable): You can beat the replay score 3 times on your credits without the replay score changing. After that, it increases by 50M per game, regardless of whether or not you get credits, until your credits run down to 0. It's sort of like the machine deciding that you've played long enough, and it wants to kick you off. After the credits go down to zero, the base replay score is reset. 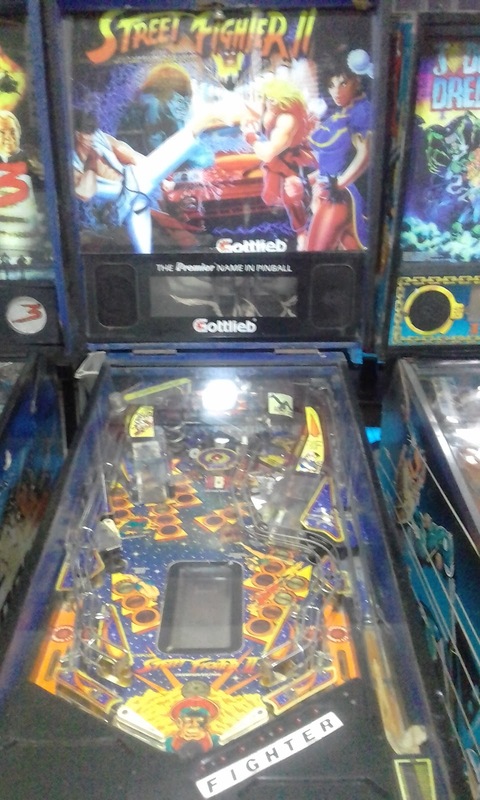 On the machine I played, it seemed like Gottlieb/Premier finally got their algorithm working properly, after those screw ups in Cue Ball Wizard where the replay score was boosted to the Billions! However, some people have seen the bug on their SF2's, so maybe it is a matter of different ROMs. On our local machine the base replay value fluctuated between about 100M and 250M. HIGH SCORES: The high scores on our machine ranged are all around 1B, and one Usenet post said that Rick Stetta got 4.6B on it. Our machine does not give you any credits for getting a high score, and only gives you 1 credit for achieving the grand champion score. I'm not sure if this is standard or just a local operator setting. THE MASTER: The game keeps track of the "Master", which is the last person to have completed the Champion Challenge. See CHAMPION CHALLENGE description above. You get one credit for completing the challenge and becoming the new master. Our new video arcade room has given CCC another strong gust of wind in our sails. Costa Rica's Call Center will continue to reward our amazing staff by a pace of 1 new arcade machine per 44 new telemarketing agents hired and hitting their monthly quota. Holding either flipper button for awhile will show you Instant Info. This will list the replay value, number of extra balls earned, current bonus, Second Cousin Frank's award value, Last Action Hero award value, World Premier award value, as well as the High Score table. You can page through the display by hitting the other flipper. Ball Saver Last Action Hero has a ball saver that is active during the first few seconds of a ball being plunged. If you get an outlane drain immediately after hitting the CRANE targets, the ball will be returned. If the replunged ball again drains after hitting the CRANE targets, it will be replunged once again. After this, your on your own. The ball saver will also be active after a shot to The Ripper, the first few seconds of M-Ball and the first moments of Super Crane and 6 ball. "Don't Move!" NOTE: One newer ROM's, the machine will supposedly forgive many right outlane insta-drains. Dynamite Features A few notes about the Dynamite features before I actually start explaining them: The Movie Scoop will be lit to award a feature at the start of each ball. After it's collected, the ramp will relite the scoop. Going through either inlane will lit the movie scoop for a VERY limited amount of time. You can have various modes running at the same time, but there are some exceptions that will be noted below. As far as I can tell, the Smart Missile does NOT award the currently flashing Dynamite Feature. (It lights the scoop for M-Ball) Using the Smart Missile will automatically light M-Ball at the movie scoop. If M-Ball is lit, M-Ball will be started. When M-Ball is ready at the Movie Scoop, Dynamite Features (obviously) cannot be collected. During any kind of timed round, hitting the Left Captive Ball will reset the timer back to it's maximum value. This can only be used once per round. Blow Out Light Extra Ball Go to the Movies Red Eye The Roof Big Mistake Cat Millions Super Crane Save Danny Find Benedict "Last" "Action" "Hero" *World Premier* (Can be collected after all other Dynamite Features are cleared) Light Extra Ball is obvious - once lit, it can be collected at the Wildcard scoop. The other rounds will be described in detail. Blow Out This is a frenzy round in the tradition of TZ's Town Square Madness or JP's Stampede. You start at a base score of 6M, and the target value starts at 250K. Every 10 target hits raises the target value by 50K. The points are awarded immediatly. A typical Blow Out score will be 17-20M. A ball that spends a lot of time in the pop bumpers will net a Blow out Score of around 20-30M. Blow out lasts for 20 seconds. The Maximum switch value is 1M. The maximum Blow Out value is 99M. Round completion is specified as having a Blow Out total of over 20M. Hitting the Smart Missile during Blow Out will reset the timer to 20 seconds, credit you with about 30 target hits, and light M-Ball. Go to the Movies This is an "Add-a-Ball" round. During this round, both Captive Balls are lit for 20 seconds. Hitting either captive ball will plunge another ball into play. After the 20 seconds expires, both captive balls score 5M per hit. The round ends when all but but one ball drains, or the timer reaches 0 and neither captive ball has been hit. Hitting the left captive ball will reset the timer for Go ot the Movies to 20 seconds. I think hitting the Smart Missile will credit you with a captive ball hit, reset the timer and plunge another ball into play. NOTE: No other rounds may be started while Go to the Movies is active, and the Captive ball hits do not advance you towards M-Ball as they normally do. Round completion is hitting EACH captive ball at least once after the timer has expired. Red Eye In this round, the objective is to hit the Eyeball targets 3 times for 30M points. The first hit scores 5M, the second 10M, and finally 15M for the last Eyeball hit. The Smart Missile will award the next point value that would have resulted in a real hit to the Eyeball targets. (In other words, the Smart Missile will NOT award the complete 30M like the JP Smart Missile would.) Round completion is hitting the Eyeball targets 3 times. The Roof The point of this round is to make 3 ramp shots in the 20 seconds given. Ramp #1 is worth 5M, the second is worth 10M and the final ramp is 15M. The ball will be diverted to the right inlane after every successful Roof shot. The Smart Missile will award the next point value that would have resulted from a real ramp shot. Completion is hitting all three ramps. Big Mistake Here, you have three targets you must hit, in order. You have 20 seconds to do this. The targets are: Any CRANE targets for 5M Any Eyeball target, for 10M The Movie Screen scoop, for 15M Again, the Smart Missile will award the active target value, and not all three. Completion is hitting all three targets for the maximum of 30M. Cat Millions During this round, the display will show a little mouse (I think) jumping across various point amounts. Hitting the Cat target will award the amount the mouse is currently sitting on. After hitting the target, another mouse is added, so hitting the target the next time will award 2 Cat Millions values, and so on. The values on the display are: 5M 6M 7M 8M 9M 10M 9M 8M 7M 6M 5M A maximum of three values can be lit at once. The Smart Missile will award the currently lit value(s). Completion is getting at least three hits on the Cat target. Super Crane Super Crane is a 6 ball multiball round. The only goal during Super Crane is to hit the Crane Shot and the CRANE targets. No other rounds can be started during Super Crane, but I believe that rounds that were going when super crane was started will continue. (Check me on this.) The Crane has an initial value of 5M and and a timer of 20 seconds. Everytime you hit the Crane, the value goes up by 5M. After the initial 20 seconds is up, you must hit all the CRANE targets to relight the Crane. The value of the Crane will be at whatever it was before the timer expired. If you hit the CRANE targets to relight the Crane, then the Crane stays lit until you hit it. (No timer.) You continue the process of hitting the CRANE targets, then the Crane until all but one ball drains. The Smart Missile will award the current crane value, or relight the Crane if wasn't lit already. Completion is defined as getting a Crane Jackpot after the initial timer expires. (Hitting all CRANE targets then hitting the Crane.) Save Danny This is a hurry up round. You must shoot the Crane shoot to save Danny from falling off the Crane. The value starts at 20M and bottoms out at 3M. Shooting the Crane awards the current value and saves Danny from certain doom. The Smart Missile collects the current save Danny award. Completion is obviously saving Danny. It's fun to watch Danny fall to his death. Listen for the realistic SPLAT as he hits the ground in a bloody mess! :-) Find Benedict "In this world, the bad guys can win." The object here is to search for Benedict in the three scoops. The game randomly picks one at the start of the round, and I have found no pattern to where Benedict is 'placed'. Hitting an incorrect scoop will show that door opening on the display, and a large dog running out after you. For finding Benedict, you get 30M, and some really cool animation. Completion is finding Benedict for 30M. "Have a nice day." BANG! "LAST" "ACTION" "HERO" Hitting the Movie scoop when LAST, ACTION or HERO is lit will award 10M points, and spot you that word. Completing LAST ACTION HERO will start a 6 Ball sequence described below. If the currently flashing Dynamite Feature is something other than LAST, ACTION or HERO, a shot to the Wildcard scoop will automatically set the Dynamite Feature to the next unlit word in LAST ACTION HERO. Completing LAST ACTION HERO will award a Last Action Hero bonus. As far as I know, this award is based on the number of rounds you successfully complete before starting LAH. Now the fun begins. You are initially given 25 seconds on the clock, and the display will say "50 hits required". All six balls will be put into play, and the object is to hit 50 targets in the time remaining. Doing so will award the score in the display located underneath the number of targets you have to hit. (It usually starts at about 15M.) Successfully getting 50 hits will add more time to the timer (I think 8-9 seconds..) and you will be required to get 50 more target hits. The award value continues where it was previously, and every target hit adds to the total. Obviously, this can result is big points. Any ball that is lost will be immediately replunged. The award value will wrap back around to 0 after it reaches 99M. Also be warned that if you somehow get over 99 seconds on the timer, the round is ended because the timer wraps around to 0 as well! (I've had this happen with a sling shot that went crazy.) If you keep 1 or 2 balls going through the Lt. Dekker spinner and into the pop bumpers, this round can go on for quite sometime. 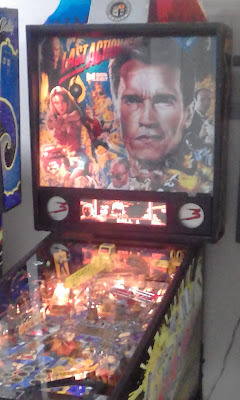 I've had a LAST ACTION HERO round last well over 10 minutes, and scored over 4B points during it. When the timer reaches 0, the flippers, pop bumpers and slingshots go dead. Check out the display during this period. ("Balls Draining...") When the game has accounted for all the balls, Arnold will say "Ready!" and a ball will be autoplunged into play. Every completion of the 50 switch closures adds 5M to the World Premier Award and 5 seconds to the timer. World Premier After collecting all Dynamite Features, (including LAST ACTION HERO) the Features will start flashing, and the yellow light above the Movie Scoop will be flashing. Hitting the scoop will start World Premier. First, you are awarded the World Premier value. Like the Last Action Hero award, it is based on how many rounds you complete, and how well you did during the LAH round. Next the display will show a display of a movie theater with people going inside. On the bottom of the display, it will say "People Seated" and "Maximum Seating Capacity". During this time, any ball shot into the Movie scoop will award 1M times the number of people listed by "People Seated". You can hit the scoop as many times as you wish, there by collecting a nice chunk of points every time. When the "People Seated" is equal to the "Maximum Seating Capacity", the round ends. The "Maximum Seating Capacity", as explained above, is a function of how many rounds are completed when World Premier begins. Chicken Scoop "Let's play chicken." A shot to the Chicken scoop will show your current number of chicken scoop shots, and how many shots till the next award. After the award is collected, your chicken scoop shots are reset, and you will have to hit the scoop one more time than you did previously to achieve the next award. The awards are as follows: 2 shots - 5 Million 3 shots - 10 Million OR Extra Ball 4 shots - 15 Million OR Light Special (At the outlanes) After achieving 4 shots, the remaining awards are always 15M, I think. I have never personally gotten passed the 4 award. The extra ball that could be awarded after 3 shots is based on the machines EB percentages. Same goes with the Special being lit. Second Cousin Frank's The Second Cousin Frank's award is an award that is held over from game to game until it is collected. Collecting the award will reset its value to 3M. Shots that add points to the award are ramp shots and when the ball returns to the Chicken Scoop via the little pathway to the left of the Ripper. I believe the value added in both cases is 100K. Hitting a ramp shot that does not light the Dynamite Feature grid will show on the display "Second Cousin Frank's", a playing card being flipped over, and the current award value. The ball will be returned to the right flipper. You now must hit the ramp again. The ball is now returned to the left flipper. Now shoot the Chicken Scoop to collect the award. This is referred to as the "Center Scoop" on the display. To summarize: 2 consecutive ramp shots, then a shot to the Chicken Scoop. The ball must hit nothing else after the second ramp shot except the Chicken scoop, or the sequence is canceled. Check out the animation for collecting Second Cousin Frank's. M-BALL "Jack Slater can't lose!" M-Ball is lit after a certain number of captive ball hits have been achieved. Going through an inlane will light the captive balls to award 2X the number of hits. (Which means you get 2 hits counted for only one captive ball shot.) When the correct number of captive ball hits are achieved, the Movie scoop will be lit for M-Ball. LOCKING BALLS Knocking down all the CRANE targets will start Runaway Crane, and light the Crane lock. Runaway crane is a hurry-up shot that counts from 10M down to 3M. Regardless if you collect the Runaway Crane award, the Crane lock will remain lit. Hitting the Crane while the lock is lit will make the crane move underneath where the ball is returned, catch the ball, and move it to the lock area where it will be held until M-Ball is achieved. The green lights on the lock area will tell you how many balls you have locked. (Even though the balls might not actually be there.) Knocking down the CRANE targets after two balls are locked will award a 7M Crane bonus. NOTE: On hard settings, crane locks will time out if not hit before the Runaway crane value reaches 0. STARTING M-BALL Hitting the movie scoop begins M-Ball. Two balls are plunged, and any locked balls you have are released. (If you have "Virtual" locked balls, those will be autoplunged as well). The base jackpot value starts at 15M plus 5M for every ball you locked prior to M-Ball. (Maximum 25M jackpot). Every target on the playfield adds to the jackpot value, some more than others. Shoot the ramp to collect the current jackpot. NOTE: On hard settings, you must hit the crane to light the Roof Jackpot. After the jackpot is collected, the Crane will be lit for double the collected jackpot value. You have 10 seconds to collect this. If you fail to hit the crane in this 10 second period, you must shoot the crane to relight the normal jackpot. Scoring the double jackpot starts 6-Balls. (See Below.) RESTART If you drain all but one ball without collecting the Jackpot, the movie scoop will be lit for a 2 ball restart for 10 seconds. Hitting the scoop will restart M-Ball with a jackpot value of 10M. 6 BALLS All six balls are launched into play. The object of 6 Ball is to first collect all the 5M badge shots on the playfield. The display keeps track of which badges you have collected, and which still have not been spotted. (See above for locations of the 5M Badge shots). Hitting the 4 badge targets will then light the crane for 30M. Hitting the crane will once again light the 5M badge targets, which again must be completed. After the badge shots have been made, the ramp is lit for a Super Jackpot of 50M times number of balls left in play. Collecting that lights the Double Super Jackpot at the crane for 100M times the number of balls in play. You have 10 seconds to collect this jackpot. After you collect the Double Super Jackpot or it times out, the process starts all over again with the 5M badge targets, Super and Double Super Jackpots. 6 Balls ends whenever all but one ball drains. End Of Ball Bonus The end of ball bonus is a function of how many targets you hit during the ball (10K a piece), and the "Double-Your-Bonus" rollovers. Lighting all three of the "Double-Your-Bonus" rollovers doubles your current bonus. The end of ball bonus tops out at 50M. The bonus starts at 1M at the start of each ball. There is no bonus hold or bonus multiplier. NOTE: Hitting the flipper buttons during bonus countdown gives a cool motorcycle like revving sound, and goes to the next ball.